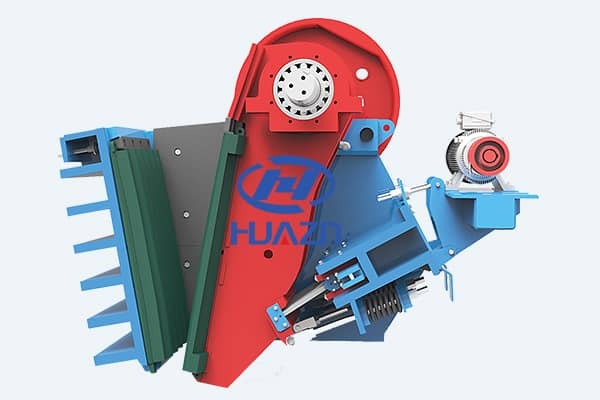 Stone jaw crusher machine is a necessary crushing machine in stone crushing production line, which is used for the primary crushing of large rock and stone. Because of large feed opening, high processing capacity, the machine is easy to appear more or less problem. We should pay more attention to the maintenance of stone jaw crusher machine during operation process, to make it play full function and prolong the service life. Stone jaw crusher is mainly composed of fixed body, rotating body, safety device and adjusting device. Fixed body is frame part. In order to prevent serious abrasion of side wall of the frame, the guard boards are installed at the left and right side of the crushing cavity, which can be replace at will. Rotating body includes movable jaw, eccentric shaft, bearing and pulley, which bear the crushing force of the whole machine. Because the jaw crusher is in a high pollution environment for a long time, the sealing equipment must be good, to prevent dust from entering into the jaw body and rubbing a lot of heat. Adjusting device is used to adjust the size of discharge opening. With the machine running for a long time and the wear of tooth plate, the size of discharge opening will continue ti increase, the products size will also increase. In order to ensure the granularity of the products, the size of discharge opening needs to be adjusted regularly. 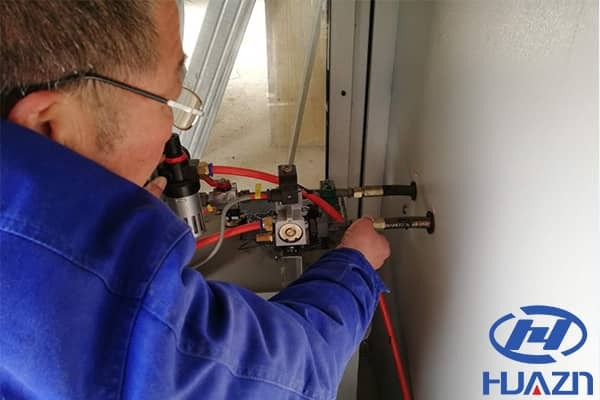 Now the common method is gasket type adjustment method.